Unfortunately, many creative projects are stillborn or abandoned, because the author, or the author's producer or publisher partner, was intimidated by the subject of “fair use.” This uncertainty is regrettable, since, under many conditions, fair use allows you, in the interest of the public good, to copy, display and publish copyrighted works without payment or permission. This article asks you to consider fair use as an alternative to fretting about the permission process. Fair use acknowledges that copyright is essential in theory, but, may be pernicious in practice. It allows scholars, researchers and others to borrow or use small (and sometimes even large) portions of in-copyright works for socially productive purposes without seeking permission. The doctrine helps courts avoid rigid application of copyright law where rigid application would "stifle the very creativity which the law is designed to foster." Against this backdrop, fair use can be seen as an attempt to reconcile the competing ideals of free speech with the property rights of individual authors and creators. Fair use recognizes that the reason for our nation's copyright laws is not so much for individual copyright owners, but, rather to promote the progress of art and science. Use what you borrow as a springboard, not a crutch. Transform it with new insight or meaning. Don't just kidnap it. To this end, fair use often pokes and prods the original. You copy less to resemble the original, than to question or critique it. 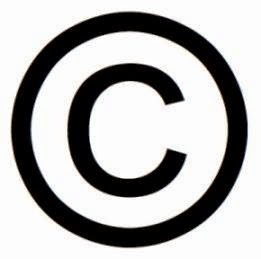 While invaluable to scholars, the media and others, it should be noted that fair use is not a right but a defense to copyright infringement. As such, it should be looked upon as a privilege, and not a right. Call upon the material to make a point. Support a proof. Also keep in mind that no one can claim rights to an idea. Unfortunately, there are no mechanical rules to define with precision what is "fair" and what is "foul." Fair use is determined on a case-by-case basis. If you wish to rely on fair use, then, your goal is understand the four factors courts weigh to determine if a particular use is a fair use. Bear in mind, the four factors are not exclusive. You don't have to prevail on each factor for fair use to exist. 4. The effect on the potential market or value of the original work. From a client counseling perspective, some fair use assessments are straight forward. "Yes, you can use it." In close situations, it may be impossible to dispel all doubt since fair use is a subjective determination. As an artist, author, composer or other creator, you may not learn whether a use is a fair use until after it has been displayed, exhibited, performed or published. Copyright does not immunize a work against criticism, commentary, news reporting, teaching, scholarship and research. However, none of these uses are automatically deemed fair uses. Only a court can determine with authority whether a particular use is a fair use. Fair use favors works that comment on or discuss the original. Critique the original. Cast it in a new light by bringing new meaning or insight. This is called a transformative use. Factual or informational works are treated differently than creative works. Since science is cumulative in a way that art is not, fact-based and informational works receive less protection than creative works. Do not take the "heart" of the work you're copying from. If what you've copied is very important to the original, it will weigh against finding fair use. Sometimes even a small (but important) portion borrowed from a larger work may constitute copyright infringement. Make sure the amount you use is reasonable in light of the purpose of the copying. When we talk about fair use, generally, less is more likely to qualify as a fair use than more. However, there are no bright line rules. Parody is a work that that ridicules or mocks another work to create a new artistic work. Make certain the parody is apparent. After you conjure up the original, how much more you can use will depend on the circumstances. A conservative approach is to use just enough to convey your parodic points. Being a non-profit educational institution won't insulate you against liability. If the use substitutes for the original, and usurps the primary or secondary markets for the original, it's unlikely the use can be a fair use. Many courts cite the displacement of sales as the most important fair use factor. The more transformative the work, the less likely this factor will be determinative. A commercial use tilts against finding of fair use, but the above factors, including how transformative, whether the work is informational or creative, and whether the use damages the market for the original are more important. To paraphrase the Chicago Manual of Style, fair use is a use that is fair, so be bold, but also heed the Copyright Office's warning, which is, "[T]he endless variety of situations and combinations of circumstances that can rise in particular cases precludes the formulation of exact rules." Ultimately, unpredictability is the price we pay for free expression. Fairness, like beauty, can be debated, but not easily defined. If you are unsure, or, if permission is denied and you feel the material is important to your work, consult a copyright attorney attorney. (c) 2015. Lloyd J. Jassin. All Rights Reserved. Thank you for the great information! I just ordered your copyright permission book to get more information. I'm in the middle of writing a book on writing which I will be indie-pubbing. I plan on using extensive prose examples (1 page max) from many modern authors to illustrate the prose construction techniques I'm teaching. I am not planning on getting permission, as I believe this is a prime example of fair use. I'm hoping your book will elaborate on this a bit more. I wanted to use a couple of lines from an old song in my novel. I found out who owned the rights and asked permission. I never heard back from them so I cut it to 12 words and a reference to the song. They contacted me a few days after I published the book to tell me I would have to pay them for that use and not only that cut a check to three separate people. I ended up taking the book out of circulation to delete it! I would have been better off if I never even asked permission because I doubt it would have ever come to their attention.